Tina Wilson joined Advantage Credit in October, 2016. 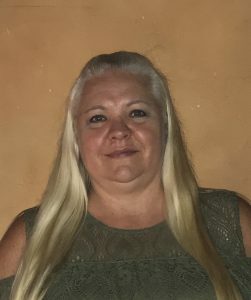 Prior to joining the Advantage Credit team, she has worked in the credit reporting industry for 11 years, in the mortgage customer service department, She enjoys working with people and helping others. She is a native to Colorado. In her spare time she enjoys going for long motorcycle rides on their Harley Davidson with her husband of 28 years. In the summer she enjoys camping with her husband, best friends and family. She loves spending time with her grandchildren and watching them perform in their school functions. She looks forward to the holidays when all of the family gets together. She has 2 children and 8 grandchildren.